My April garden party has been crashed by May blooms. They have rudely shown up early, like guests invited for supper who show up for lunch. They demand my attention now. Unfortunately, I'm not ready for them now, mentally or physically. So I've left April in charge of them. And April is treating them to some occasional frosts, which some of them don't like, while others don't seem to mind at all. Whether bothered by frost or not, none of them seem to be getting the hint that they are early. Silly flowers. I would like them to unbloom, go back, spend some time somewhere else and then return at the proper time, my definition of the proper time... May. 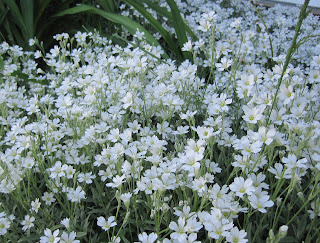 I can see your post now "due to climate change the blog formerly known as MDG will now be named April Dreams Gardens". May is the perfect month of have these beautiful flowers around. i believe that weather is the primary reason for these flowers to show up early. However, better luck next time. HA, Carol, good luck with that! 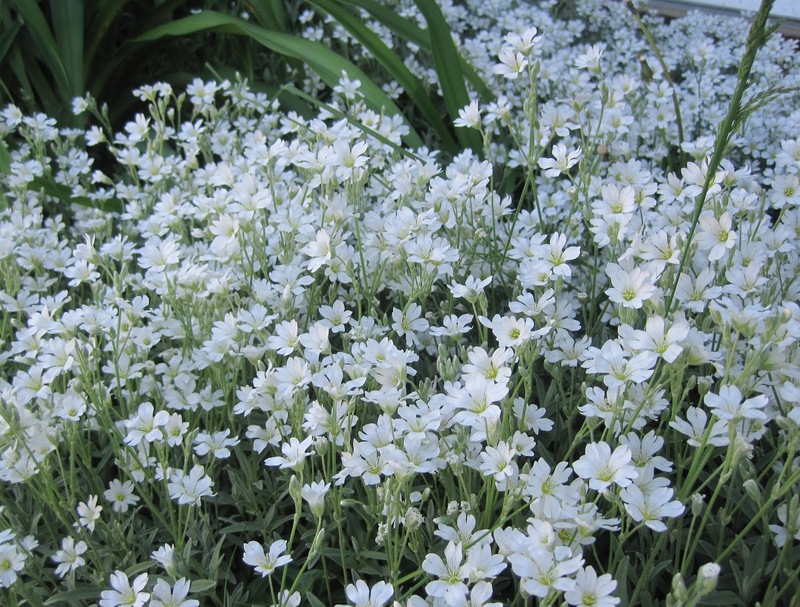 I do love snow in summer, the Cerestium tomentosum, even though it never blooms in summer here in Tennessee. What's in a name, anyway? I love Snow in Summer! Great post - thanks for the chuckle this morning. And you're right - we've had garden party crashers since February around here. Serves 'em right to get nipped when they show up too early. Except my peonies...I hate when they pop open too soon and you just know there's going to be a tragic end for the blooms that year. Hi Carol. I love your Snow in the Summer. Everything is early this year but like you said it has not slowed down the flowers or hurt many here. A couple of my hydrangeas and one rose got some burnt leaves from a freeze but they have kept right on growing. Have a wonderful week. Silly flowers really they are! :) But although they come a bit earlier than what you have expected, the best thing to do is to enjoy them. I have a rose flower garden and I can't wait to see their blooms! Hope they will also be like these cute little silly flowers you have.